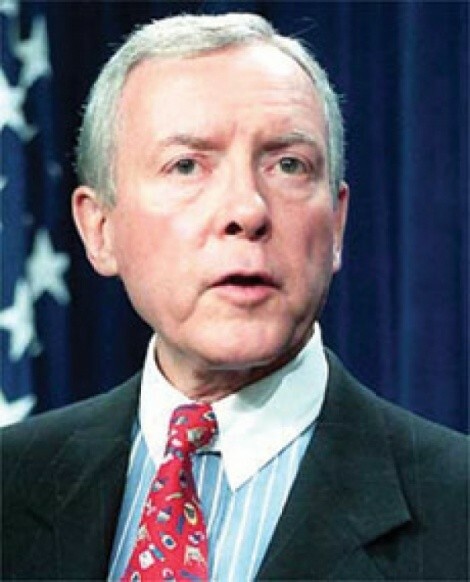 Lake Effect | Down the Hatch: Orrin wants to get Larry Craig off. The case of disgraced Republican Sen. Larry “Not Gay” Craig (whose efforts to avoid political annihilation were thwarted by a Minnesota judge who thought Craig’s petition to change his plea from guilty to innocent might have been just a twee bit late, considering the case is closed) seems to have brought gay-lib enlightenment to the GOP. Hey, better 40 years late than never. The GOP’s tent has long been big enough for loudmouth homophobic hypocrites. It’s just not big enough for loudmouth homophobic hypocrites who get caught toe-tappping. Even Utah Republican Sen. Orrin Hatch—a longtime foe of marriage and equality rights for gay and lesbian Americans—came to Craig’s rescue. Hatch was quoted in The Seattle Times as saying a good lawyer could have won Craig’s case. “I could have won it for him,” Hatch said. Considering the trouble poor Craig’s been having in the bedroom—er, bathroom—we’re glad somebody might be willing to get him off.